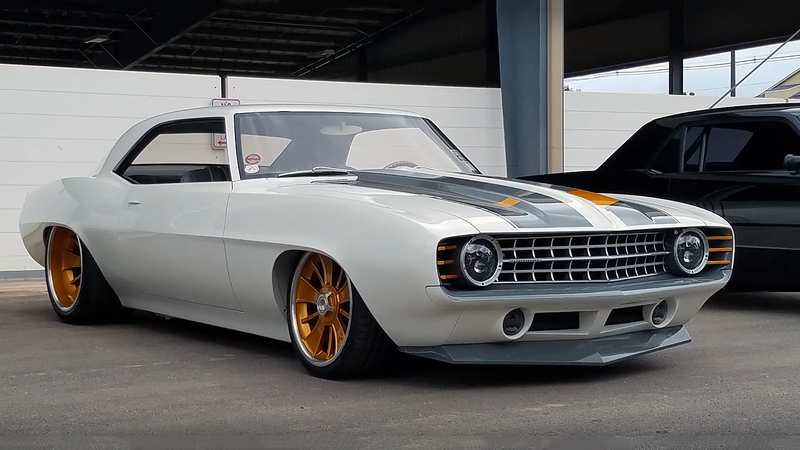 Today we are looking at this incredible Restomod 1969 Chevrolet Camaro Pro Touring built by Modern Automotive Performance. At the first sight this Chevy Camaro looks awesome, but more importantly it performs even better. MAPerformance have done an amazing job, they’ve combined this classic Camaro with the best modern equipment. The exterior remains unspoiled, only the big wide wheels which remind us that this Camaro is a Pro Touring muscle car. The interior has been modernized with the MAPerformance custom roll cage, Corbeau racing seats with the Corbeau 4-point seat belts. The dashboard has been refreshed with modern Dakota Digital dash gauges, while the driver can enjoy behind the new Grant steering wheel. 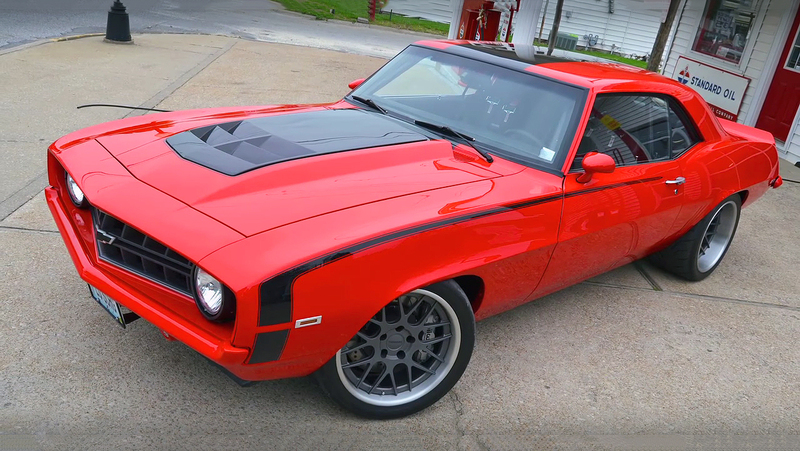 But the most powerful attitude of this Restomod 1969 Chevrolet Camaro Pro Touring is the engine under the hood. The Turbocharged General Motors 325 cubic-inch, 5.3 liter Vortec 5300 LM4 small-block V8 engine, with the PTE 7675 Turbocharger can generate impressive 625 horsepower. The 4L85E 4-speed automatic transmission is attached to Ford 9-inch rear end with 3.70 gears which spins 18-inch Forgeline DE3P wheels equipped with BFGoodrich g-Force Rival tires.